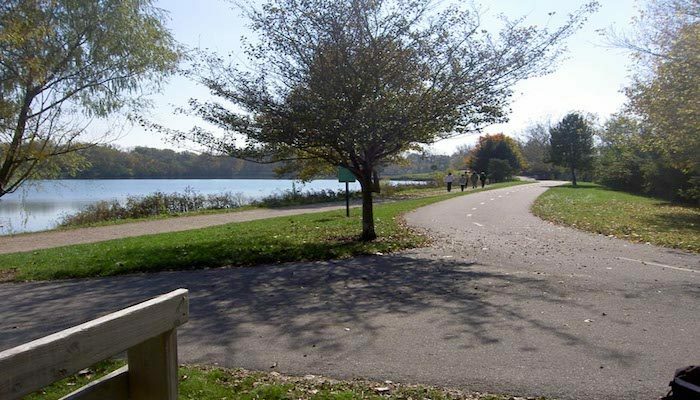 Located just north of downtown, Antrim Park offers a beautiful 1.2 mile, gravel path around a tranquil lake. Popular among walkers, runners, bikers, and even dogs, this 120 acre path offers beautiful wooded views, lots of wildlife, a playground, shelterhouse, and several sport fields including a basketball court, tennis court, and football field. There is a separate paved path for bikes and other things with wheels, and a gravel path for runners and walkers. Technically part of the Olentangy Greenway Trail, the park was acquired in 1970 as a gift from the Antrim family, owners of the Olentangy Corporation. Add on by running along the Olentangy Trail, south toward downtown, or north, another 3 miles to Worthington Hills. I really wanted to compose a brief message so as to express gratitude to you for these remarkable tactics you are placing on this website. My incredibly long internet lookup has finally been compensated with extremely good tips to go over with my company. I would state that that most of us website visitors actually are very much fortunate to exist in a good site with very many brilliant individuals with valuable tricks. I feel very happy to have seen the web site and look forward to some more thrilling times reading here. Thanks a lot once again for everything. Hey would you mind letting me know which hosting company you’re using? I’ve loaded your blog in 3 different internet browsers and I must say this blog loads a lot faster then most. Can you recommend a good internet hosting provider at a honest price? Thank you, I appreciate it! Hi there, You have performed an incredible job. I will certainly digg it and in my opinion suggest to my friends. I’m sure they’ll be benefited from this web site. Hello! I just would like to give an enormous thumbs up for the great information you have got here on this post. I are going to be coming back to your blog for extra soon. excellent publish, very informative. I ponder why the other experts of this sector don’t realize this. You must proceed your writing. I am sure, you have a great readers’ base already! Woah! I’m really enjoying the template/theme of this site. It’s simple, yet effective. A lot of times it’s very difficult to get that “perfect balance” between user friendliness and visual appeal. I must say you have done a excellent job with this. Additionally, the blog loads super quick for me on Opera. Superb Blog! I used to be more than happy to find this net-site.I wished to thanks in your time for this excellent learn!! I definitely enjoying every little little bit of it and I have you bookmarked to check out new stuff you blog post. I am no longer certain the place you are getting your information, but great topic. I needs to spend a while studying much more or figuring out more. Thank you for wonderful information I used to be looking for this info for my mission.